Everyone wants to live forever – don’t they? The quest to find the Elixir of Life has been replaced by modern medicine, extending human life spans by decades, but could we ever become immortal? And would we want to? We explore the natural world to find creatures that do live for an improbably long period of time and find out what makes them special. Plants often live longer than animals. Some bristlecone pines of America’s southwest have reached 5,000 years old. But trees which grow as clones, such as a grove of aspens in North America, are all one tree, connected to a single root system – and is 80,000 years old. A domestic cat, Creme Puff, lived to 38 and a captive cockatoo reached 83. But these were pampered domestic animals – what can we learn from animal species that live long lives in the wild? Some bowhead whales are over 100 years old, probably due to very low metabolic rates, helping them survive in frigid Arctic waters. There does seem to be a link between metabolic rate and speed of ageing. But birds need lots of energy to fly and have very high metabolic rates – yet size for size, with similar metabolic rates, birds live much longer than mammals. The oldest known wild bird is a Laysan albatross, aged 66 and still breeding. So why are birds so special? Life span often depends on the environment. Harsh conditions, with fewer chances to breed, favours animals that live longer. So called ‘Methuselah moths’ live in the high Arctic. Their caterpillars can only feed and grow for a few weeks each year, so it may be 10 or 15 years before they’re big enough to turn into adult moths. 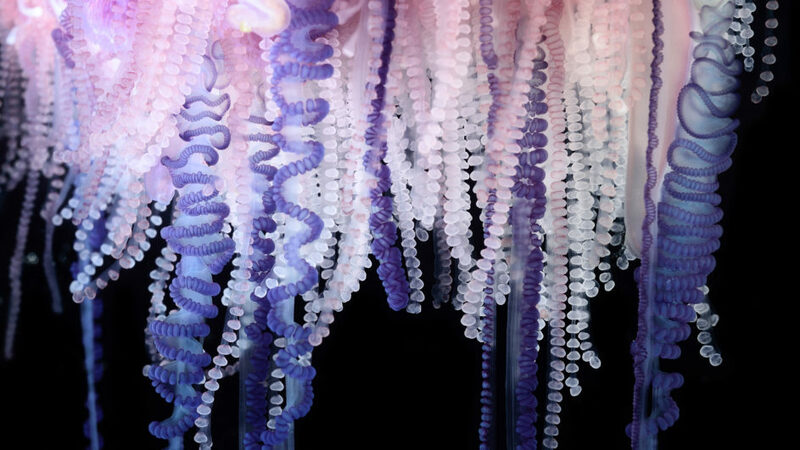 Some creatures seem to be immortal, such as several kinds of small jellyfish, but in the wild, jellyfish are not immune from diseases or predation. Disease is a key factor in ageing and by extending our own life spans, we’re exposed to diseases of old age, such as cancer. Could we ever get around this limitation? It’s often said that sharks don’t get cancer, but their immune systems make them very resistant to it. And the tiny naked mole rat, that lives for 30 years or more in underground colonies, also seems to resist cancer – a hot topic in research. Nature has already found the Fountain of Youth – can humans tap into that fountain?